We are Matt & Ana, owners of Total Home Design & Remodeling Company. Our company serves Northern Virginia since 1999 as a general contractor, kitchen and bathroom remodeler, with full time decorator on staff. We make your home complete with our full design and decor service, starting from color scheme for your spaces, material, and fixtures selection, to a very last detail that makes your house a cozy Home for your family! 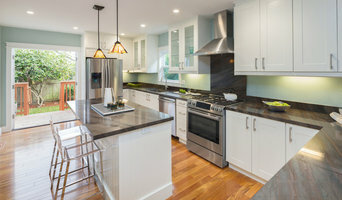 As an experienced Kitchen and Bathroom remodeling company we got awarded by Houzz for Best Customer Service in 2019, thanks to our 5 star Houzz rating. Ana has recently been nominated Best Interior Designer by Northern Virginia Magazine, where we got featured profile, in magazines March 2017, and 2018 issue. Contemporary Remodeling is a family owned business since 1983. We have been serving the Northern Virginia area for over 30 years. Our goal is 100% customer satisfaction and making the home remodeling experience as painless as possible for our customers. Let our team help you with the design and build of the home, kitchen, bath, or addition of your dreams. We specialize on Kitchens and Bathroom Remodel, Windows and Siding Installation, Garage Enclosures and Sunrooms, as well as custom home additions. No job is too small for our team of highly trained professionals. Let our architect help you design your dream layout! We're highly recommended on Houzz and received the Best of Houzz award three years in a row! In addition to the awards on Houzz, we've received numerous awards from Angie's List in 2013 and 2014. So, call us today for a free in-home estimate. Best of Houzz Winner 2013-2017! 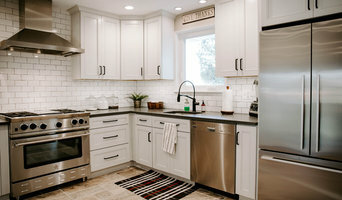 Serving Metro DC, Baltimore, Philadelphia, Richmond, Raleigh NC & more, Reico Kitchen & Bath is the largest distributor of kitchen and bath cabinets in the country, with 22 showrooms to handle all your kitchen and bath remodeling needs. From custom designed kitchens to hall bath remodels, we can help you get started on your next remodeling project! You can find a Reico Kitchen & Bath showroom near you by visiting our website and clicking on the "showroom locator" link at the top of the page. Since 1952 we have been taking care of our customers' needs. It is our goal to have every customer recommend us! Arlington County Leading Interior Designer | 2x Best of Houzz Winner! At FA Design Build, we focus on the Why. Why is it important to enhance your home? Why do you want to remodel? The Why defines your life and the place you call home. We work alongside you to discover your Why. Our approach to understanding the Why turns the traditional remodeling approach upside down. Before measuring for cabinets, selecting a countertop, or choosing a floor, we focus on you and how you feel about the prospect of remodeling. We understand those feelings range from excitement to apprehension. By developing a full scope of work, we take guessing out of the process. Your wants and needs are identified and appreciated. Together, a design is fine tuned. Selections are made. Costs are captured. Timeframes are set. The production plan is made. Our specialty is Interior Residential Remodeling—kitchens, baths, master suites, finished basements, home offices, and more. We provide a seamless remodeling experience, from inspiration to installation. Visit our Design Center to meet our team and get started. Our enthusiasm for unique design and quality craftsmanship is second to none. We regularly offer free remodeling and design seminars as well as open houses for recently remodeled homes. We are a licensed and insured Class A general contractor and affiliated with NARI, NAHB, and NKBA. Since 1978 we have been serving the Northern Virginia area as an expert in the field of complete Residential Construction & Home Improvements. We are a full service general contracting company that incorporates design services. Our specialties include kitchens, bathrooms, whole house remodeling, decks, and additions. We welcome the opportunity to show you how we can make your next project amazing! D.C. Interior Design & Decorating Firm Best of Houzz 2015-2019! 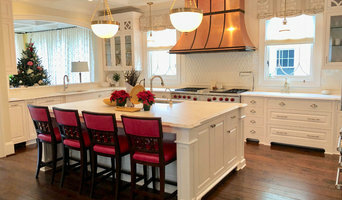 Alexandria's Preferred Kitchen & Bath Remodeler | 3X Best of Houzz! Founded in 1995, J & F Specialties, Inc. is a full service remodeling firm. We offer design/build services to provide our clients a pleasant, stress free remodeling experience from concept to completion and beyond. We take great pride in our many happy clients and are passionate about providing them with the highest quality remodeling service. We specialize in kitchen remodeling, from cabinet refacing to major design changes; bathroom remodeling, from the hall bath to amazing master baths; along with custom cabinetry and built-ins. As a Class A Builder we can assist you in adding space to your home and interior renovations to suit other areas of your home such as home offices and basements. We are a locally-owned business with the benefit of a national company's expertise and can provide a complete kitchen or bathroom design and remodeling when needed. We believe that every remodeling project should be a positive experience. We take great pride in providing personalized service suited to fit your specific remodeling needs and we'll guide you every step of the way. With J & F Specialties, you'll receive a no surprises consultation and estimate, exceptional craftsmanship, quality materials, and courteous installation professionals who don't stop until the job is done right. Hardcastle Contracting, LLC. 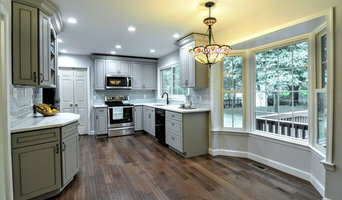 has over 18 years experience in home renovation and remodeling in Lorton, VA and all of Northern Virginia. We specialize in kitchen, bath, window, and door remodeling but we have the experience to help you with all of your renovation needs. We are fully licensed and insured. We also have an A+ rating on the Better Business Bureau and hundreds of references available Please share your project ideas with us today! Cabinets and cupboards are crucial organizational components of any kitchen or bathroom. Yet, for such an essential element, homeowners often compromise on their cabinetry, settling for cabinets that neither complement their style or meet their needs. 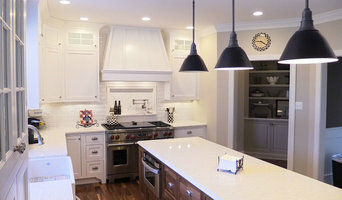 Custom cabinetmakers in Springfield, VA has the transformative power to create a practical yet personalized space unique to you by creating custom cabinets that have all the storage elements you need as well as the stylistic ones. Custom cabinets have the benefit of being designed specifically for you in terms of both appearance and usability. When it comes to stock cabinetry, you are limited to generic, cookie-cutter designs, dimensions and colors, which isn’t ideal for outfitting a uniquely shaped kitchen or for showcasing your personal style. Custom cabinets are solely crafted based on your specifications and needs, and while they are pricier than pre-made pieces, you’ll receive a higher level of craftsmanship and durability when you work with a professional on Houzz who specializes in custom cabinets in Springfield, VA. Create an ideabook on Houzz and save examples of the custom cabinets you want — this will help your Springfield custom cabinetmaker get on board with your vision and make your design a reality. Additionally, if you are undergoing a remodel, keep in mind that a blueprint needs to be finalized prior to any kind of cabinet building and installing; given the one-of-a-kind nature of a custom cabinet, room dimensions need to be completely finalized before any work can commence.